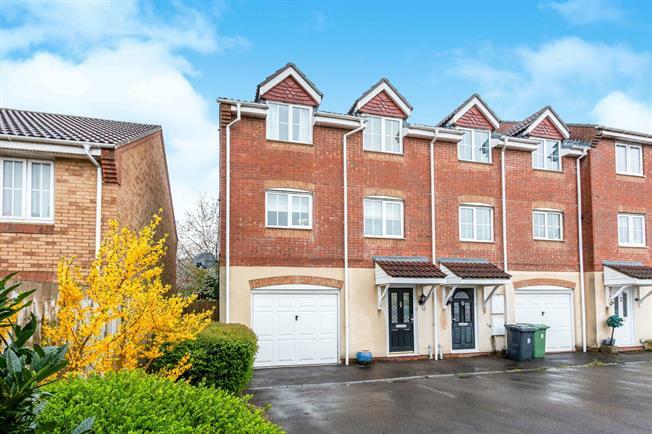 4 Bedroom End of Terrace House For Sale in Basingstoke for Offers in excess of £400,000. A versatile four bedroom end of terrace Town House nicely tucked away at the end of a cul de sac in Beggarwood. The ground floor features a hallway, integral garage, bedroom (could be used as a family room or study), utility room and shower room. The first floor comprises a spacious kitchen breakfast room (refitted 4 years ago) that opens to the dining room and in turn to the full width living room. The second floor boasts three bedrooms with the master having an ensuite shower room (refitted recently). The family bathroom serves the other two bedrooms and has Jack and Jill doors to bedroom 2. Externally there is driveway parking to the front. To the rear there is an enclosed rear garden with patio area. Other benefits include gas central heating (boiler replaced recently), double glazing and the loft is 3/4 boarded. Early viewings are advised.